Neshoba County's ownership of a community hospital began on October 8, 1948 when The Neshoba County Board of Supervisors issued $130,000.00 in bonds to be used to purchase The Philadelphia Hospital, Inc. The Board purchased the assets of The Philadelphia Hospital for $5,000.00. Dr. C. H. Harrison was appointed as Manager and Miss Eva Wilkerson was appointed as Secretary. The first Board of Trustees was appointed in November, 1948 to operate the county owned facility. 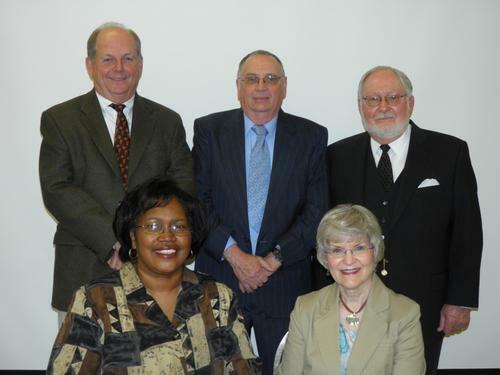 Members of the initial Board of Trustees were: Mrs. H. T. Key from District One, Mr. Glen Jackson from District Two, Mr. Gene Lowery from District Three, Mr. Arnett Bobo from District Four and Mr. Grady Lane from District Five. In February, 1960 The Neshoba County Board of Supervisors took action to apply for funds for the construction of a new physical plant. In June, 1960 The Board of Supervisors sold $250,000.00 in General Obligation Hospital Bonds to assist in the construction of a new hospital for the citizens of Neshoba County. A site was purchased that same month for $16,000.00. The Neshoba County General Hospital opened it doors at the current location in February, 1963. The Neshoba County Nursing Home, a 20 bed facility was added in 1966. Additional beds were constructed in 1976. The Nursing Home once again received approval to construct additional beds in 1989. The last expansion occurred in 2002, with the addition of 20 beds care beds as well as a 20 bed Alzheimer unit. Neshoba County Nursing Home now provides care for 160 residents. Neshoba County continues to move forward with improvements to The Neshoba County General Hospital & Nursing Home. A project to renovate the Heating Air-conditioning and veneration System in the three older sections of the Nursing Home is under way now. Our Board of Trustees and leadership team, together with the dedicated members of the Neshoba County Board of Supervisors, are pleased to announce that we have developed a modernization and replacement facility plan. The plan is practical and ensures that all families in our community will have access to the best healthcare has to offer -- close to home and for generations to come! Through construction of the new addition to the Hospital, renovation of the first floor of the existing facility and construction of the new Rehabilitation Building and new Medical Office Building on the expanded Hospital and Nursing Home Campus we are realzing this goal and plan. Jo Helen Daly, Secretary of the Board of Trustees of Neshoba County General Hospital - Nursing Home, has been a member of the Board for 15 years representing District 2. Her current term will expire in January, 2016. Mr. Posey was appointed to serve as a member of the Board representing District 3. His current term will expire in January, 2022. Mr. Posey was previously the hospital administrator of Jasper General Hospital of Bay Springs, MS, and has been in hospital administration for over 50 years. Oliver Jolly, Chairman of the Board of Trustees of Neshoba County General Hospital - Nursing Home has been a member of the Board for 11 years representing District 4. His current term expires January, 2018. Mr. Jolly is employed with the Family Violence and Victim Services as a licensed counselor. Jean T. Brazzle, Trustee on the Board of Trustees of Neshoba County General Hospital - Nursing Home, was appointed in 2011 to a term ending in 2019. To provide our region with a community focused healthcare system based on cost effective, quality care. To be the regional healthcare provider of choice that is respected for its contributions, leadership, and ability to improve the health and well being of our community.